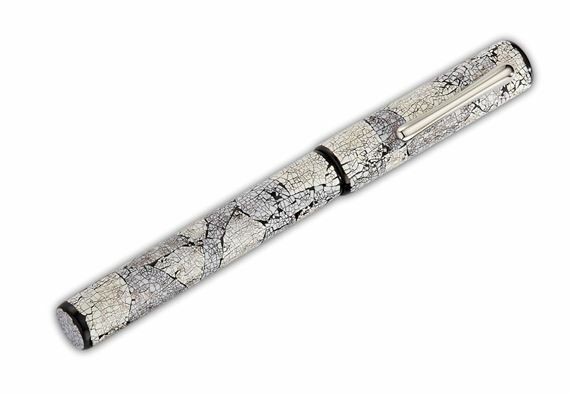 Order your Taccia Limited Edition Maki-e Snow Flurry Fountain Pen today from FahrneysPens.com. Fine Pens, Refills & Luxurious Gifts – great prices & fast shipping. Snow Flurry recalls a wintry night with chunks of snowflakes drifting in the wind. 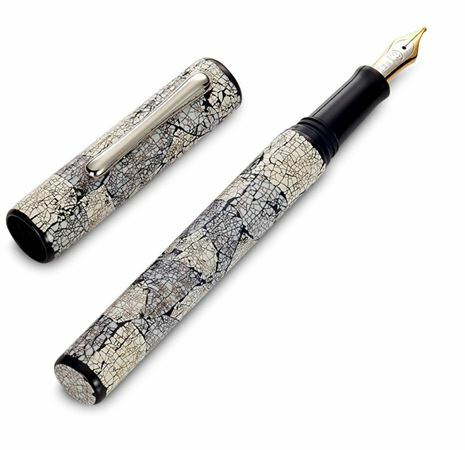 Taccia’s Maki-e artist handcrafts each piece starting with a raw ebonite foundation, then adds various shades of quail eggshells that are inlaid on top of the barrel, and sealed with expertly coated Urushi. Limited to 50 pieces worldwide, each Snow Flurry LE comes with a 14K gold Japanese nib. Cartridge/converter fill.